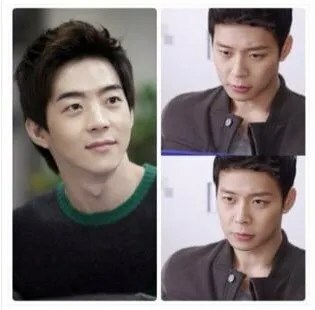 Among the emergence of brothers·sisters actors one after another in the entertainment industry, Hallyu star Park Yoochun(26) and talent Chae Sira(44) revealed their younger siblings who had followed in their footsteps in acting. K-Pop star JYJ member Park Yoochun, who is currently acting as the male lead in MBC drama ‘I Miss You’, recently with an interview with Yonhap News praised his brother saying that “In the past, (as the eldest) it feels like I had to support the family alone but now, my brother is gradually growing up and I can even have certain expectations from him”. His brother Park Yoohwan(21) debuted as an actor last year February with MBC weekend drama ‘Shining’ before moving on to MBC historical drama ‘Gyebaek’ and then SBS ‘Thousand Days’ Promise’ thus letting known his face and name by making an appearance in 3 series of dramas one after another. In particular, his role as SooAe’s younger brother in ‘Thousand Days Promise’ had attracted attention due to his earnest tearful acting. This year, he was chosen to be the main lead for Channel A ‘K-Pop Strongest Survival’ followed by MBC daily drama ‘Can’t Live without You’ in which he appeared for 6 months. Park Yoochun said “It seems that Yoohwan is doing well in acting” and “Because he did a daily drama and weekend drama, he had been shooting for a longer period than me” and laughed after saying that. He further said “Especially recently, he did a drama with 110 episodes without any break which is really praise-worthy” and “Since the two of us are actors, it feels good and comfortable that we can understand each other better”. Park Yoohwan was the exemplary case of ‘following the footsteps of the elder brother to acting’. For him, who had just returned to Korea 6 years ago after following his brother and mother to live in America, before he had set his eyes on acting, he did not have any dreams and was just wondering around. Since then, through his elder brother, he found interest in acting and attended an acting class where he studied for a year before going for his first audition where he was accepted right away and got to make an appearance in ‘Shining’. “Even if it was just a few years ago, I would never had imagined that Yoohwan and I would become actors and act alongside each other. I am so proud that my younger brother is doing very well.” said Yoochun.